Perceptions of the flavors of foods or beverages reflect information derived from multiple sensory afferents, including gustatory, olfactory, and somatosensory fibers. Although flavor perception therefore arises from the central integration of multiple sensory inputs, it is possible to distinguish the different modalities contributing to flavor, especially when attention is drawn to particular sensory characteristics. Nevertheless, our experiences of the flavor of a food or beverage are also simultaneously of an overall unitary perception. Research aimed at understanding the mechanisms behind this integrated flavor perception is, for the most part, relatively recent. 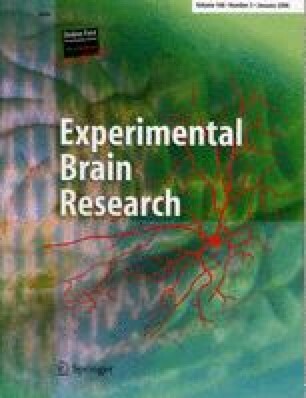 However, psychophysical, neuroimaging and neurophysiological studies on cross-modal sensory interactions involved in flavor perception have started to provide an understanding of the integrated activity of sensory systems that generate such unitary perceptions, and hence the mechanisms by which these signals are “functionally united when anatomically separated”. Here we review this recent research on odor/taste integration, and propose a model of flavor processing that depends on prior experience with the particular combination of sensory inputs, temporal and spatial concurrence, and attentional allocation. We propose that flavor perception depends upon neural processes occurring in chemosensory regions of the brain, including the anterior insula, frontal operculum, orbitofrontal cortex and anterior cingulate cortex, as well as upon the interaction of this chemosensory “flavor network” with other heteromodal regions including the posterior parietal cortex and possibly the ventral lateral prefrontal cortex. This paper is based on a keynote presentation by JP to the 5th Annual Meeting of the International Multisensory Research Forum, Barcelona, June 2–5, 2004, and a presentation by DMS at the 4th Annual IMRF meeting (2003). The authors would like to thank Genevieve Bender for help in preparing Fig. 1. DMS is partly supported by NIDCD Grant No. DC-006169-01.